In our interview series, “Seven Questions,” we ask cultural theorists about what inspires them and how their latest work challenges our understanding of the sacred in cultural life. 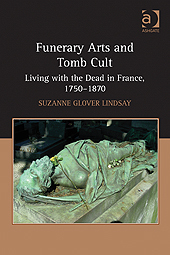 For this segment, we chatted with Suzanne Glover Lindsay author of Funerary Arts and Tomb Cult: Living with the Dead in France, 1750-1870. Like many researchers, I smelled a story in the gaps and disparities within even the newest work on a great topic: nineteenth-century French sculpture. Some of its most famous examples were funerary monuments that were hailed as artistic masterpieces or as key players in France’s political history without any significant reference to their intended purpose as parts of tombs. These works were designed within a belief system to function within a family’s or society’s ritual practices surrounding a vital social index, burial. That seemed odd. Scholars of all types standardly use France’s medieval and Renaissance tombs to study medieval religion, cult, and attitudes towards death and the dead. It also seemed amazing that even the work of revisionist art historians showed no response to the canonical texts by historians– notably Philippe Ariès, Michel Vovelle, John McManners, and Thomas Kselman– on the radical shifts in belief systems and attitudes towards death and cult in France during that period. These historians of death and religion, I should add, were equally quiet about any significance the nineteenth-century funerary masterpieces might have for belief systems and cult! A final spark concerned the task of dealing with the “art,” the material goods! The visual analysis of 19th century French funerary monuments by art historians– as isolated artifacts– did not help me with treating these monuments as what they were, site-specific works and centers of a social space. On site, I found the tomb was inextricable from its material frame in the physical experience and symbolic reading of the project. The many applications of phenomenology (a philosophy centered on bodily experience in the world), from architecture and landscape design to human geography and material religion, grounded and legitimized my response, so off I went in hot pursuit of evidence that addressed these points. The question became wonderfully more intricate when subsequent reading revealed that, though period debates treated sculpture, architecture or landscape as enemies (I talk about this later in this article), tombs often forced these rivals to collaborate, deploying their respective powers to produce a forceful, integrated whole. 2. How would you define “religion” in relation to your work? Where do you see the sacred or sacred things in this book? I’d define it traditionally. I focus on several Christian sects in France, with forays into various corners to emphasize the diversity of France’s Christian population during that period and the range of religious issues raised in funerary matters of the late eighteenth and early nineteenth centuries. Some examples might help. The state tomb and funeral for Louis XV’s Lutheran supreme commander, the Maréchal de Saxe (d. 1750), publicly reasserted the [Catholic] Crown’s support for Protestantism in Alsace, the only French region where that faith was legal until the 1790s. Another famous state rite, the transfer of Voltaire’s remains in 1791 to the new state mausoleum (Pantheon), enacted, I found, the nation’s new policy of religious tolerance by itself being non-religious [e.g., non-Catholic], causing conservative outrage at the government’s “anti-religious” stance. The striking effigy tomb on the book cover shown here, by François Rude for liberal leader Godefroy Cavaignac (d. 1845), was conceived and used, newspapers revealed, as a modern Holy Sepulcher featuring the ideal Christian democrat. Its simple, accessible forms and appeal to draw close provided a positive paradigm to contrast with a modern Church that these anticlerical socialists felt had failed its flock. I present another tomb that recruits a syncretistic form of Catholicism in Anjou and Brittany (the Vendée militaire), where peasants are notorious for an animism, idolatry, and conservative faith that are still considered manifestations of ongoing Druidic beliefs and practices. The sacred? I approach it in this book in two ways. First, through traditional religious martyrial sites, burials, and objects. But I also treat unconsecrated zones, objects, and even rites with enormous symbolic charge for certain communities. Objects and sites connected with Napoleon, for instance, were sacred to many French, military and non-military and of all classes, though the beliefs attached to anything related to Napoleon were protean, syncretistic, and unsystematic. The famous monument in Burgundy to Napoleon (Rude’s Napoleon Awakening to Immortality, 1847) is an important example. The sublime site and the power of the monument there that combines the sacred (if antithetical) attributes of the beloved “little corporal” and Emperor were hailed for their “religious” feeling from the outset. The monument became one of the most potent and popular pilgrimage sites for devotees from all over the world well into the twentieth century. 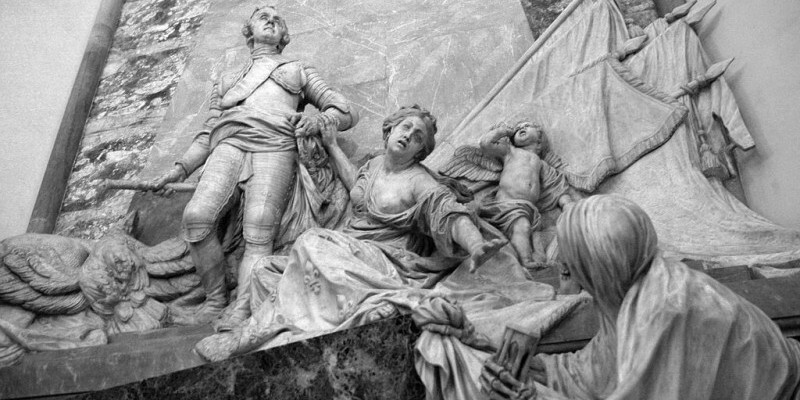 First, that the close ties between art and cult, provided by the sculptural simulacrum of the deceased in death (the tomb effigy), formed part of an extraordinary cultural shift, the death and renewal of France’s relationship with its dead in the eighteenth and nineteenth centuries. Such a renewal took both traditional and new forms of cult and cultic materials after the Revolution. New forms enabled the use of such effigies for the tombs of a wide social spectrum as never before, including those of heroes or opposition martyrs often funded by a broad public. Various belief systems were crucial to their planning and use. Second, a powerful and kinetic physicality drove the design and use of such tombs by requiring bodies, some in performance: (a) the corpse and the living visitor and (b) the simulacrum of the deceased atop the tomb, the focus of ritual acts after burial. Being there (presence), doing, was essential. Third, the funerary arts and cults discussed in this book were vital to a period seeking the appropriate forms of communication (speech) for a nation undergoing radical regeneration, a key concept of the liberal reform well into the nineteenth century. 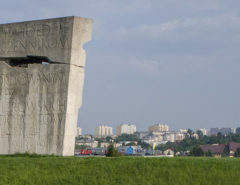 The debates about the various forms of monumental funerary art– architecture, sculpture and garden cemetery– pivoted on the nature of their “speech,” especially any propensity towards authoritarian rhetoric (tyranny). For some, the hyper-rhetorical sculptural figure was suspect; for others, the controlling, arrogant building was anathema. 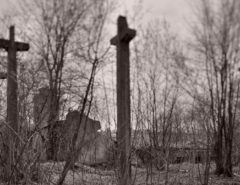 The garden cemetery was the top liberal choice of funerary form because it used nature, wellspring of liberty itself, embodiment of the highest morality, and even site of God’s given Church. I can only answer this now, looking back at some remove! I now see that the book has two very enabling parents. Paul Binski’s Medieval Death: Ritual and Representation (1996) revisited the beliefs and practices that informed the design of effigy tombs (especially the shocking transi, the simulacrum of the decomposing corpse) and the placement of medieval tombs in general. Peter Brown’s The Cult of the Saints (1981), a seminal work on sacred sites and cult for Latin Christianity, provided the language and criteria for analyzing more recent cult in France– site, bodies, structures, and cultic forms– once the tomb was constructed. I was also profoundly inspired by the innovative arguments of Ernst Kris and Otto Kurz concerning effigy magic in Legend, Myth, and Magic in the Image of the Artist (1979; originally published in German in 1934). Absolutely! The most difficult challenge was trying to responsibly use the many disciplines outside my own and to produce an integrated, if multifaceted account. I also struggled to responsibly handle the political polemics surrounding so many bitterly controversial topics like the French Revolution, the Vendean insurgency of 1793 and the political and social turmoil ever since. I was startled by the challenge, in a positive review, to the value of studying a funerary type that was, as I emphasize in the book, rare. The review implied that such projects necessarily had little “influence.” Not so. As I maintain in the book, these rare and often unexecuted works had considerable impact in their time and later. 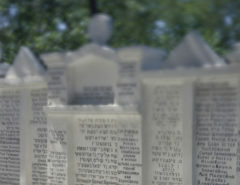 Such tombs, often for public spaces and for public figures, were publicly discussed, often heatedly, since they were first announced, giving us plenty of direct voices on issues surrounding the projects. Such highly publicized works, albeit rare or unexecuted, also inspired similar designs since sketches or models even for unexecuted works were publicly displayed. I’m developing what I’ve already published on funerary sculpture and embodiment, materiality, and the senses, using recent work on the material and sensory culture of religion. One result, that considers the infamous exhumations at St-Denis of 1793 in this light, will appear as an essay in Conversations, a section of Yale’s online Initiative for the Study of Material and Visual Culture of Religion (MAVCOR). Otherwise I’m starting new work on funerary matters in the Americas of the nineteenth century. To some measure I’m pursuing the same issues that drive Funerary Arts, attitudes towards and uses of the effigy tomb. I’ve already identified some little-known examples in the eastern US that suggest how such sculpture enables religion and cult through its physicality before and around the Civil War. Other subjects should emerge in pursuit of things funerary in the highly diverse United States. I will also expand my quest to my native Latin America, beginning in December with Santiago, Chile, where I’m returning for a school reunion and to begin fieldwork in the surviving historical churches and the General Cemetery there. The latter is allegedly the earliest public cemetery in Latin America (1821), though Buenos Aires’s later Recoleta Cemetery is more famous. The role of religion and cult will be central to this work, which I envision as selective case studies chosen for their variety and insight. I have a lot to learn, but scholars already working in these and related fields have been wonderfully helpful! Suzanne Glover Lindsay, Adjunct Associate Professor in the History of Art at the University of Pennsylvania in Philadelphia, has divided her career between curatorial work (including as Acting Head of the Sculpture Department, National Gallery of Art) and teaching, mostly at the University of Pennsylvania. She has organized exhibitions of nineteenth-century French painting and sculpture for major museums and published articles in journals and anthologies. Suggesting the range of her work, another major publication that appeared just before this book, is Edgar Degas Sculpture (National Gallery of Art, 2010), co-authored with two conservators and three scientists at the National Gallery. To regenerate, Suzanne hikes, fly-fishes, and devours pulp fiction.